This is a scalable context timeline. It contains events related to the event October 8, 1996: Christian Identity Members Charged, Convicted of Robberies and Bombings. You can narrow or broaden the context of this timeline by adjusting the zoom level. The lower the scale, the more relevant the items on average will be, while the higher the scale, the less relevant the items, on average, will be. 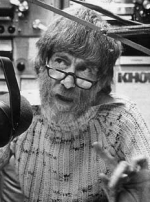 Gordon Kahl. [Source: Anti-Defamation League]Posse Comitatus (see 1969 and 1983) member and anti-tax protester Gordon Kahl (see 1967 - 1973) and three Posse members gun down two US marshals who are attempting to arrest Kahl in a confrontation near Medina, North Dakota. 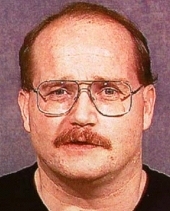 The two marshals are among a group of six attempting to apprehend Kahl in a 1977 income tax case after he violated his probation by refusing to file a tax return (see 1975 - 1981); he has been a fugitive since 1981. Initial Attempts to Negotiate Peaceful Surrender Fail - In that year, Kahl refused to turn himself over to North Dakota federal marshal Harold “Bud” Warren after a number of telephone conversations in which Kahl insisted that he had been “illegally” convicted by the “forces of Satan.” Warren decided that Kahl’s probation violation was “hardly a serious crime” and decided not to pursue it, partially because he knew Kahl was a crack shot and feared he would lose officers in any attempt to arrest him. 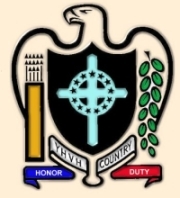 Increasing Involvement in Posse Activities - Kahl moved to Arkansas, where he visited the compound of the white supremacist Covenant, Sword, and Arm of the Lord organization. A member of that organization, Leonard Ginter, hid Kahl from federal authorities. Kahl’s wife, under tremendous stress from the situation, tried and failed to negotiate a settlement with the IRS, resulting in her excoriation by her 23-year-old son Yorie, who accused her of cooperating with “the tithing collectors of the Jewish-Masonic Synogogue [sic] of Satan.” Kahl became more and more involved in Posse Comitatus activities, traveling to Kansas and Colorado. 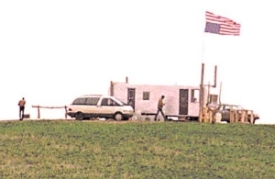 Return to North Dakota, Confrontation with Police - In January 1983 he and Yorie Kahl returned to North Dakota with the intention of setting up a Posse “township” near Medina, which they envisioned as being free from state and government control. Kahl’s station wagon is observed by Stutsman County deputy sheriff Bradley Kapp, who informs the Marshal Service in Bismarck. Warren’s successor, Kenneth Muir, authorizes Kahl’s arrest, and drives to Medina with Deputy Marshal Carl Wigglesworth to join two other deputy marshals, Robert Cheshire Jr. and James Hopson Jr. Kapp is spotted by some of his Posse colleagues, who quickly join him in planning to forcibly resist any arrest attempt. Reportedly, they receive the assistance of Medina police chief Darrell Graf, who is allegedly a Posse sympathizer. Kahl, Yorie Kahl, and Posse members David Broer and Scott Faul flee Medina in two Posse members’ cars, but the ruse only briefly confuses the marshals, and two police cars with flashing lights quickly apprehend Kahl and Broer. One car is driven by deputy police chief Steve Schnabel; the other by Muir and Wigglesworth. Kapp, Cheshire, and Hopson are close behind in a third vehicle. Kahl and Broer turn off the road into a driveway, and Kahl, armed with a modified Ruger Mini-14 assault rifle, prepares to open fire on the approaching police officers. The others leap out of their cars and, armed with Mini-14s, take up positions in a ditch. When the marshals arrive moments later, they get out of their cars and order the Posse members to lay down their weapons. One of the Posse members opens fire, and in the 30-second volley that ensues, Kahl and his fellow Posse members lay down a deadly fire that inflicts heavy damage on the outgunned marshals. Kahl wounds Kapp and Schnabel with two shots, and kills Muir with a shot to the heart. Muir fires off a single shot that gravely wounds Yorie. Hopson is struck in the head by a ricocheting bullet that causes permanent brain damage. Rifle fire from Yorie and Faul fatally wounds Cheshire. Kapp, severely injured, manages to shoot Yorie three more times, then takes cover. Kahl executes the dying Cheshire with a shot to the head, then points his rifle at the downed Schnabel, but chooses not to kill him, instead taking his police cruiser and fleeing the scene. He takes the injured Yorie to a Posse member, Dr. Clarence Martin; Yorie and Kahl’s wife Joan are arrested later that night at the hospital, and Yorie tells FBI agents some details of the confrontation. Faul, Broer, and Posse member Vernon Wegner are also arrested; Faul refuses to tell police or FBI investigators where Kahl might have fled to. Police find Schnabel’s abandoned police cruiser. Two days later, police surround Kahl’s farmhouse and bombard it with tear gas, only to find it abandoned. They do find a store of weapons and ammunition, and a collection of Posse Comitatus pamphlets and related documents. Kahl’s family insists that law enforcement efforts to apprehend Kahl are unfair, and complain that he is being “hunted like a dog.” Joan Kahl appears on television and tearfully pleads with her husband to surrender, to no avail. FBI and US Marshals descend on the local Posse Comitatus headquarters, and offer a $25,000 reward for information leading to his arrest, but Kahl has disappeared into the shadows of the far-right militia network. [Ian Geldard, 2/19/1995; Southern Poverty Law Center, 12/2001; Levitas, 2002, pp. 194-200; Nicole Nichols, 2003; Anti-Defamation League, 2011] Kahl’s murder of the marshals will be used by Posse Comitatus leader James Wickstrom to promote the anti-tax movement (see February 14-21, 1983). Four months later, Kahl will die in a bloody standoff with police officers in Arkansas (see March 13 - June 3, 1983). A series of phone calls provides evidence to some of a larger conspiracy at work behind the imminent Oklahoma City bombing (see (April 1) - April 18, 1995 and 8:35 a.m. - 9:02 a.m. April 19, 1995). April 17 Calls - At 1:57 p.m., a phone call from the Nicholas residence is placed to the same Wilmington number. The call lasts one minute. At the same time, a call from the Bangerter residence is placed to the Oklahoma City Radisson Inn, lasting one minute. At 1:59 p.m., Bangerter Jr. calls the Restaurant Tea Service in Flagstaff, and talks for one minute. At the same time, a phone call from the Bangerter residence goes to the Oklahoma City Radisson Inn. April 18 Calls - At 8:49 a.m., a call from Bangerter’s house is placed to the Restaurant Tea Service in Flagstaff, lasting 25 minutes. At 6:39 p.m., a call from Bangerter’s house is placed to the Oklahoma City Radisson Inn, lasting 11 minutes. At 9:02 p.m., a call from Bangerter’s house is placed to the Oklahoma City Radisson Inn, lasting one minute. April 19 Calls - In the hours after the bombing, two calls are placed from the Bangerter residence. The first takes place at 12:34 p.m., to a phone number in Las Vegas, and lasts 45 minutes. The second takes place at 2:41 p.m., to the Restaurant Tea Service in Flagstaff, and lasts 37 minutes. FBI Director Louis Freeh, speaking of the possibility of future violence from radical-right militia groups, says: “With the coming of the next millennium, some religious/apocalyptic groups or individuals may turn to violence as they seek to achieve dramatic effects to fulfill their prophecies.… Many white supremacist groups adhere to the Christian Identity belief system (see 1960s and After), which holds that the world is on the verge of a final apocalyptic struggle… and teaches that the white race is the chosen race of God.” Some of these Christian Identity members will commit crimes to prepare for their anticipated Apocalypse, Freeh warns, and says that the US government, Jews, and non-whites are likely targets. [Ontario Consultants on Religious Tolerance, 5/30/2006] Freeh’s statement anticipates the FBI’s “Project Megiddo” report, which will focus on the possibility of a wave of domestic terrorism coinciding with the “end of the millennium” (see October 20, 1999). The FBI releases its report on what it calls “Project Megiddo,” an examination of what it calls “the potential for extremist criminal activity in the United States by individuals or domestic groups who attach special significance to the year 2000.” The report is released to law enforcement agencies throughout the country, but not to the public. A statement accompanying the report reads in part: “The threat posed by extremists as a result of perceived events associated with the year 2000 (Y2K) is very real. The volatile mix of apocalyptic religious and [New World Order] conspiracy theories (see February 4, 1999) may produce violent acts aimed at precipitating the end of the world as prophesied in the Bible.” The report is based on nine months of intelligence and data collection by the domestic terrorism unit of the FBI. Soon after its release, the Center for Studies on New Religions (CESNUR) will obtain a copy and release it on the Internet. The report’s executive summary notes that “Megiddo,” a hill in northern Israel, is the site of a number of Biblical-era battles, and the Hebrew word “armageddon” derives from a Hebrew phrase meaning “hill of Megiddo.” The Bible’s depiction of “Armageddon” is, the report states, “the assembly point in the apocalyptic setting of God’s final and conclusive battle against evil. The name ‘Megiddo’ is an apt title for a project that analyzes those who believe the year 2000 will usher in the end of the world and who are willing to perpetrate acts of violence to bring that end about.” While much of the media-fueled debate about the upcoming “end of the millennium” focuses on technological issues, such as the anticipated widespread disabling of computer networks and the like, the FBI report focuses more specifically on the religious connotations of the time as viewed by far-right “Christian Identity” (see 1960s and After) and related white supremacist, separatist, and militia organizations. 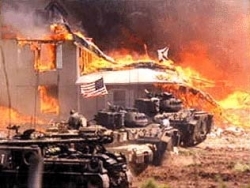 The report, the summary states, “is intended to analyze the potential for extremist criminal activity in the United States by individuals or domestic extremist groups who profess an apocalyptic view of the millennium or attach special significance to the year 2000.” It is difficult to say what groups may pose a threat as 1999 comes to a close, the report states, as it is difficult to anticipate which groups will follow through on their rhetoric and which will not. 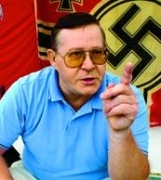 Moreover, the report notes, many domestic extremist groups are not traditionally structured in a hierarchical fashion; the possibility of “lone wolf” strikes by individuals operating outside a militia or extremist group may in some cases outweigh the likelihood of violent assaults carried out by such groups. 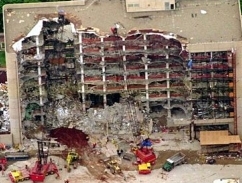 The report notes that the worst domestic terrorist event in US history, the Oklahoma City bombing (see 8:35 a.m. - 9:02 a.m. April 19, 1995), was carried out by two “lone wolves,” Timothy McVeigh and Terry Nichols. The report finds few indications of what it calls “specific threats to domestic security,” but focuses more on suspicious activities by a variety of militia groups who are arming themselves, stockpiling food, raising money through illegal means, and other actions which may serve as a warning of future violence. Problems caused by “Y2K glitches” such as power outages and computer failures may be interpreted by some extremist groups as the first actions of a government assault on the citizenry, the FBI warns, and may precipitate violent responses. [Ontario Consultants on Religious Tolerance, 10/1999; Federal Bureau of Investigation, 10/20/1999; Washington Post, 10/31/1999] The right-wing news blog WorldNetDaily will accuse the FBI of issuing the report to “set up” militia groups as patsies for the government’s own terrorist activities (see December 9, 1999). 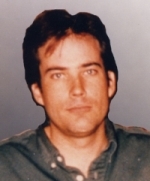 Anti-abortion activist Eric Robert Rudolph, wanted in a deadly spree of bombings that targeted abortion clinics, a gay and lesbian nightclub, and the 1996 Olympic Park in Atlanta (see October 14, 1998), is captured after five years of living as a fugitive from law enforcement attempts to find and arrest him. Rudolph is found in the mountainous Nantahala National Forest of western North Carolina, where FBI and other authorities believe he has been hiding since his 1998 bombing of an Alabama abortion clinic (see January 29, 1998). “He had been in the area the whole time,” says Cherokee County Sheriff Keith Lovin. Rudolph may face the death penalty. He was spotted by a Murphy, North Carolina, police officer, who saw him behind a local grocery store. The officer initially thought Rudolph might be a burglar. Rudolph does not resist arrest and is quickly brought into custody, where he is identified. Rudolph’s last known sighting was in July 1998. Rudolph later says that during some of his time as a fugitive, he was forced to subsist on acorns and salamanders until he began successfully stealing food from local businesses and residences.